New Coach Same Expectation, National Championship or Bust! My name is Brendan McCann (Benny) and I have taken over as the new head coach of this team from my good friend Austin Ryan. I know the past few years have been difficult for this club with the many transitions that have been made at the head coaching position. I am here to assure you that I plan on staying with this club for the long haul! I am a student at Marquette University where I am studying to become a High School Teacher specializing in History and Special Needs Education. I am originally from Boston Massachusetts and since moving to the Dairy State I have fallen in love with the Midwest Manner and way of life. My ultimate goal as head coach here is to help form this team into a National Championship caliber squad. I have heard of the talents that this team can unleash and I am very excited to begin our run back to Nationals. I am cut from the same cloth that Austin was cut from, I believe that fitness and confidence wins rugby matches. Austin exhibited this very well by showing that size does not mean a dam thing when it comes to a rugby match; it's all about heart and confidence which he had loads of and which we on the Marquette Men's club will miss dearly. I grew up playing against Austin, then eventually with him in college, and he taught me the most important lesson that any rugby player can learn and it is if your heart and determination is there, you are the biggest meanest player on the field and no one can bring you down. I heard of this club's game against the Amazons form Sacramento, and to be honest with the level of fitness you guys have, the only factor that let them win was they were "scary". One thing I will instill in you ladies is that fear cannot hold you back from greatness, defeating fear in that game would of won you that game, but it is alright because we are going to see them again and I have every confidence with the game plan and training we will have at that point, we will destroy them. The big word in that last roll on sentence was training!!!!! Austin got the players in this club in top shape and you better believe I am going to push you even further, to limits you never thought you would reach, but remember just like Austin we are not drill sergeants we are your coaches who only want the best for you, and since you already have been to Nationals, the best thing for you is a National Championship. To reach such a goal is going to require alot of commitment and sacrifice. I am willing to put all the time I have into this club to reach that goal and I hope you ladies are ready to do the same. I expect you to be at training every Monday Wednesday and Thursday during the Fall. I do not know any of your skill levels yet, so do not think because you were a starter before that gives you the right to not go to training or to be lazy. I will start those who prove to me that they want to start. Of course there has been a starting 15 established with Austin, but it can change and will if commitment is not shown. This commitment also starts in the summer with making sure you stay in shape and are in rugby form when two a days start the week before you go back to school. If you show up to two a days and I have not seen your face all summer, then that will be a huge issue. I know that summer is ruff with summer work and vacations, but if I can clear my hefty schedule for you guys, then you can clear two hours a week for me. Also the two hours during the week is not going to cut it for fitness, so please make sure your running on your own in your free time or going to the gym, if anyone has fitness questions or wants regimens contact me and I will gladly give you a workout map.. 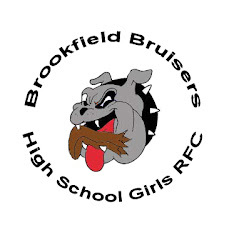 I come to you with an arsenal of knowledge of this game we all love so much and a burning desire to make the Brookfied Bruisers the #1 team in America. I also bring to you a few assistant coaches who will aide me in bringing this team what it deserves. I am a huge proponent of respect and I expect that at practice you will give me your utmost attention. I know this post seems like an angry rant, but it is not, I'm just excited to do great things with this club and I know we are going to have fun as we progress. So do not worry I am not the fun police, if I was I wouldn't be playing rugby because besides defeating your opponent, rugby is all about having fun and forming friendships. So in closing make sure you get out to training this summer and keep fit and if you have any questions, players or parents please do not hesitate to ask! Parents: since I have not met all of you personally yet I would like to set up a time and place where we can all sit down and talk logistics for the upcoming year. If you could email me separately with a day and time when your free I will compile the dates and post them on the blog here and we can vote and meet up on the most convenient date for everyone. Again Ladies I am honored to take over this club and I am excited to begin our march back to Nationals! O one more thing I also expect a victory in the founder's cup considering we have never won it before and CM HS has had it far to long!